While I don't ride in paddock boots, I do like to wear them with breeches when I run errands after riding. Is that worth buying a pair of Ariat Heritage boots? Well. No. Sometimes the shopping fairy smiles on you when you least expect it. On the advice of a friend, I was exchanging an item I'd bought as a shower gift in a local department store. While waiting for the exchange to be processed by the store beaurocracy, I wandered aimlessly around the shoe dept. It was Labor Day weekend, and they were having a big sale. Where did you find these? I also like wearing paddock boots as a fashion accessory (to make me feel like a pro when I stop by Subway for dinner). They seem perfect!!! Do you know about Rue La La? It has feature sales of different brands. I happened to get an email update from them today and this week's sale includes Ariat. Too funny! If you're interested in seeing it, email me and I'll send you an invite. They're got awesome cowboy boots and other shoes. Ariat boots do not last as long as the price indicates they should. I mean, Thom McAnn (sp) shoes had cardboard soles and they lasted longer than some Ariats I've "known." 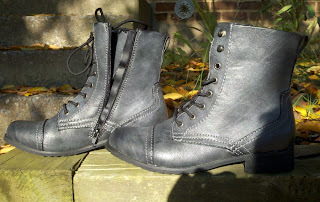 That said, I LOVE paddock boots--and yours are GORGEOUS. I love the color, too. Gray is my new "thing"--I have a gray Ovation helmet, gray gloves and am perishing to buy a pair of Kerrits full-seat tights in gray. Lucky you with those boots !! I was recently pondering how many fashion trends over the ages came from the equestrian world. I've seen loafers with a snaffle bit decoration on people that wouldn't know a snaffle bit from a drill bit. Perhaps the funniest example of the fashion world taking cues from the equestrian world were some pants I saw at GAP a few weeks back. They were fashion pants but had knee patches like riding breeches. ingloOkay sister you have to give up the name and brand of these awesome new boots! I love them!! The brand is relativity, let me try to find a link! Here you go, and only $35!!!! Nice find. They do look quite fashionable and comfy. So I was dashing through Nordstrom yesterday and saw a pair of side-zip, lace-up boots with toe cap worn by a mannequin in the children's department. They were kind of a bronze metallic color but also came in a kind of metallic black. 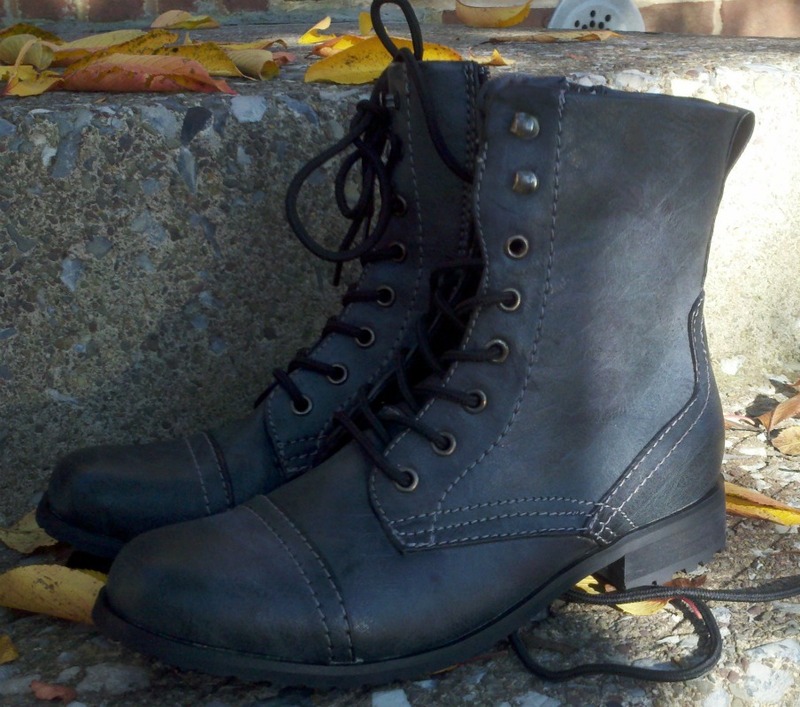 So -- you never know where you will find paddock boots!